Eric Astrauskas, Spec. Hons. B.A. (Kinesiology), P.T.S. 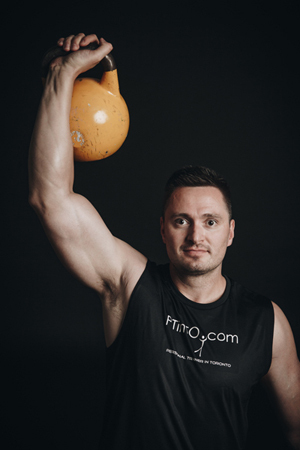 Personal Trainer in Toronto is committed to providing top-quality professional services in the fitness industry. 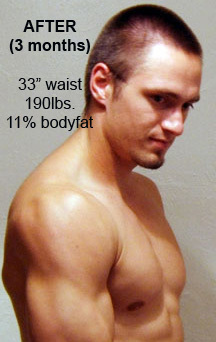 I specialize in: fat loss, muscle building, strength development, flexibility training, and sport-specific conditioning. 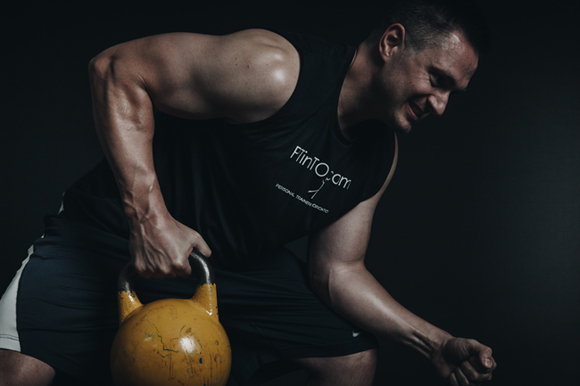 My ultimate goal is to help you reach your health and fitness potential using the most up to date scientific information on exercise and nutrition on body transformation and physical performance. You will learn how to build a lean, strong, and healthy body. Personal training and fitness consultations are offered in the comfort and convenience of your home in Toronto (service areas include:Yorkville, Annex, Forest Hill, Midtown, Lawrence Park, Bayview Village, Bridle Path, Rosedale, Church and Wellesley Village, High Park, and Kingsway), Etobicoke, and Mississauga. Studio personal training is also available at Studio Fitness (74 Bathurst Street) or the studio of your choice. 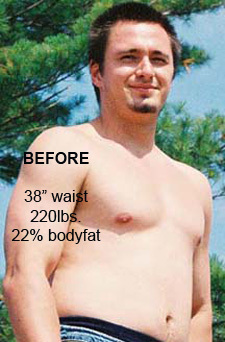 I also conduct boot camps in Toronto and Etobicoke. A full range of fitness equipment available to you. Some of the tools we may use in your workouts include: free weights, kettlebells, Indian clubs/clubbells, resistance bands, sandbags, battling rope, TRX suspension trainer, medicine balls, slam balls, stability balls, Power Wheel, Lebert Equalizers, Bosu ball, ab slings, gymnastic rings, plyometric boxes, weight sled, agility ladder, full kickboxing gear, Rumble Roller, Trigger Point Therapy kit and much more! Customized exercise program design with nutrition counseling is also offered separately for those looking for an effective plan to workout on their own. This includes demonstrations of each exercise so you will be comfortable training on your own. This service is offered to those living in Toronto and the Greater Toronto Area. 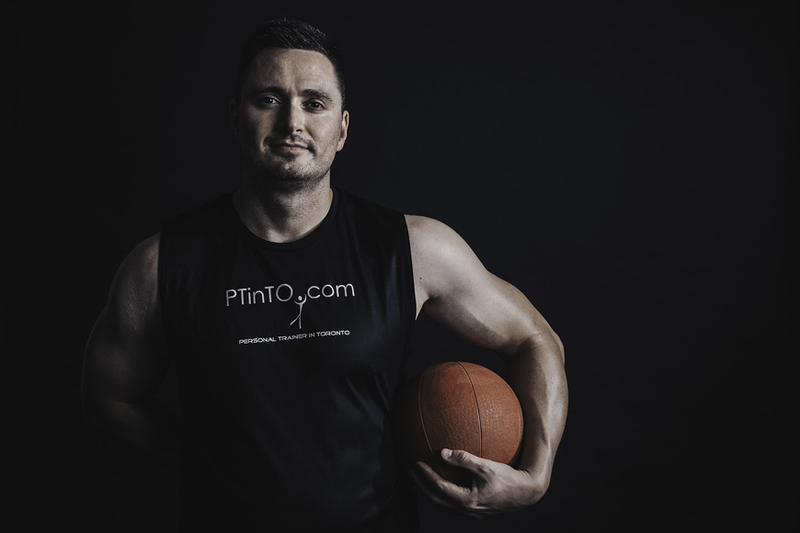 I hold a Specialized Honours Kinesiology Degree (York University, Toronto), and am currently certified as a Personal Trainer Specialist (Can-Fit-Pro). For several years, I was also certified as a Certified Fitness Consultant (Canadian Society for Exercise Physiology) and Certified Kinesiologist (Ontario Kinesiology Association). With a decade of successful experience in the fitness industry, my clients range from: teens to seniors, beginners to competitive athletes. I have helped them achieve a wide range of goals including: weight loss/fat loss, muscle building/muscle toning, flexibility/improving range of motion, injury rehabilitation, improving blood pressure, and enhancing sports performance. My training sessions are dynamic, challenging, informative and fun. I employ periodization (cycles of power, strength, and endurance training) and manipulation of training variables. Some of the methods I utilize with strength training sessions include: drop-sets, pyramid training, slowed negatives/eccentric training. For fat burning, I employ high intensity interval training methods. I am constantly expanding my knowledge base and skills with continuing education. In recent years, a few of my completed courses include: older adult fitness, fitness business, advanced exercise nutrition, advanced exercise anatomy, assessing and treating lower back injuries, flexibility assessment and prescription, and pilates. In addition to my required professional development, I spend a lot of time reading and researching. I gain a variety of perspectives from networking with many fitness and health professionals including: fitness trainers, strength and conditioning coaches, physiotherapists, chiropractors, massage therapists, naturopaths, and dieticians). My mission is to set the standard of excellence in the fitness industry.